Bearer bonds are securities that are not registered and have very little documentation. Whoever holds the physical bond is deemed the owner. Because they are frequently used by money launderers and tax evaders, they present great opportunity for an IRS whistleblower. Bearer bonds were quite popular until the early 1980’s when they were outlawed by the Tax Equity and Fiscal Responsibility Act of 1982 (TEFRA). Congress couldn’t outlaw them worldwide but they made it difficult to deposit or redeem them at US banks. Entertainment buffs may remember the book The Great Gatsby or the Eddie Murphy movie Beverly Hills Cop. Both featured plots surrounding bearer bonds. Bearer bonds typically have coupons attached. Whoever holds the coupon can present it for payment. No paper trail. The downside of course, is that if the bearer bonds are lost or stolen, you may simply be out-of-luck in claiming your money. If bearer bonds fell into disfavor in 1982, why are we writing about present day IRS whistleblower opportunities? It turns out that bearer bonds are alive and well outside the United States. In 2009, I spent several days in Panama unraveling a fraud involving bearer securities. Like bearer bonds, bearer securities have no ownership paper trail. Let’s look at an example. Say you own 100 shares of Ford Motor Company. Chances are pretty good that you don’t actually hold the share certificate. You own the shares even though you don’t have a certificate. Those shares are registered in your name and Uncle Sam has access to that information. UBS Bank recently run afoul of the U.S. Justice Department and IRS for helping Americans evade taxes through the use of bearer bonds. The government thinks the bank was helping Americans obtain and redeem bearer bonds overseas. As long as the bonds are presented for payment overseas, the IRS is no wiser. It’s one thing to offer bearer bonds where legal. Helping Americans evade taxes, however, is a felony. We know of banks, corporate services and foreign lawyers that routinely help Americans evade taxes. They may also be helping money launderers, gangs, drug cartels, organized crime and terrorists too. The IRS Whistleblower Program allows ordinary people (citizens or not) to earn large monetary awards for reporting companies that assist in the underpayment or underreporting of federal taxes. Helping Americans evade taxes qualifies. The largest whistleblower award in U.S. history was paid to a UBS banker that was helping Americans open unreported foreign accounts. UBS paid a $780 million fine for that activity while the whistleblower received $102 million. There are dozens of other banks and offshore consultants that are still engaging in this behavior. Whether unreported offshore accounts, bearer bonds, nominee (shell) companies or bearer securities, the result is the same. Our firm represents whistleblowers and helps them collect the maximum awards possible. 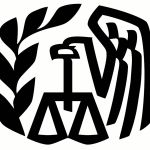 If you have inside information about tax fraud of any sort, you may be entitled to an IRS whistleblower award. Those awards can be as high as 30% of whatever the government collects including interest and penalties. To date, our clients have received well over $100 million in awards. Unlike some other whistleblower programs, the IRS has a good track record of keeping the identity of whistleblowers secret. Although there are no absolute guaranties, chances are good that one’s identity is never revealed. Each year the IRS, SEC and Justice Department hands out hundreds of millions of dollars in awards. Let us help you get your share and help take a bite out of tax fraud and greed. Remember, every dollar in tax not collected from tax cheats means that everyone else pays.